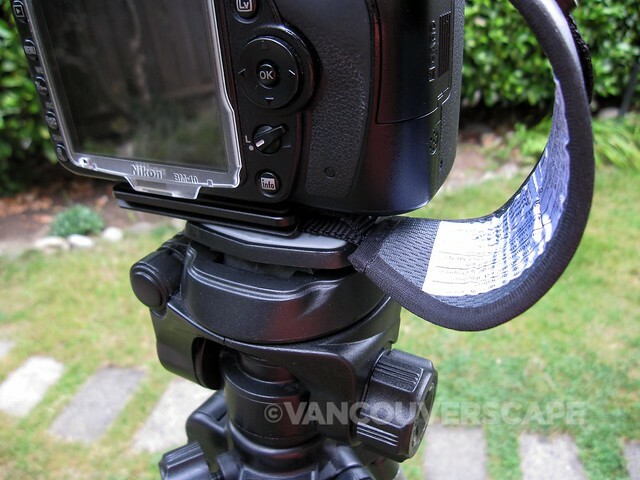 Looking for a lightweight, comfortable, adjustable hand strap for your DSLR? 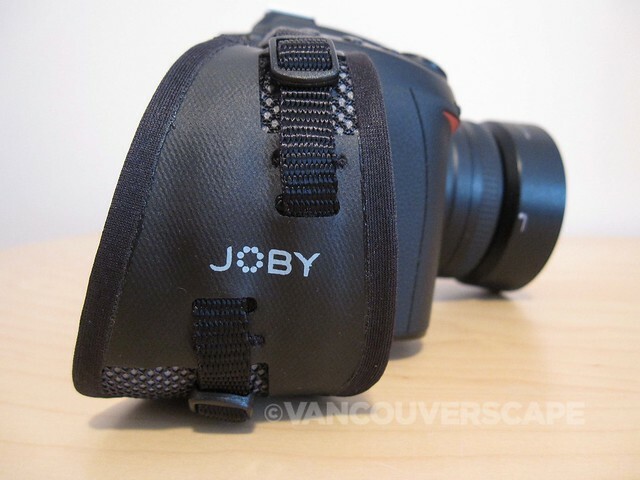 JOBY has the answer in the UltraFit Hand Strap with UltraPlate. I was recently sent one to test out for my Nikon D90. The UltraFit’s easy to set up by threading the strap through the camera’s shoulder lug, then working the the thin strip up and over the ladder lock, tucking the excess back into the strap’s pad. The length will adjust to a comfortable distance between your hand gripping the camera and the strap. The strap comes with an allen wrench to attach the UltraPlate to the bottom of your camera, and can accommodate DSLR’s with zoom lenses and battery grips, video cameras, and interchangeable-lens cameras. At 58 grams (0.13 pounds), the strap will also work with a standard 1/4”-20 tripod mount as well as any Arca-Swiss quick-release system, bullhead or monopod. 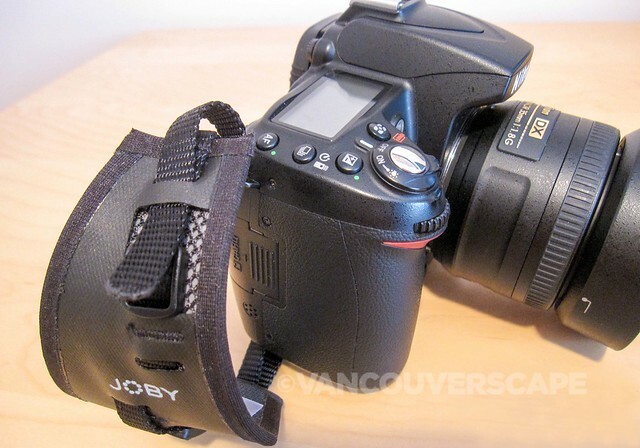 Via two additional 1/4″-20 mounting holes, you can use the UltraFit with a bottom-mounted sling camera strap (see my earlier reviews for JOBY’s UltraFit Sling Strap and Black Rapid’s RS-W1 Camera Strap). 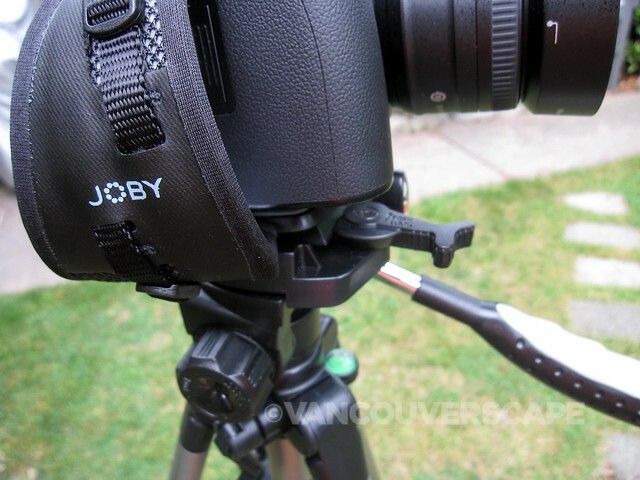 Note: If you’re using various tripods on the go, keep the allen wrench handy. You’ll need to adjust the UltraPlate back and forth depending on your mount. 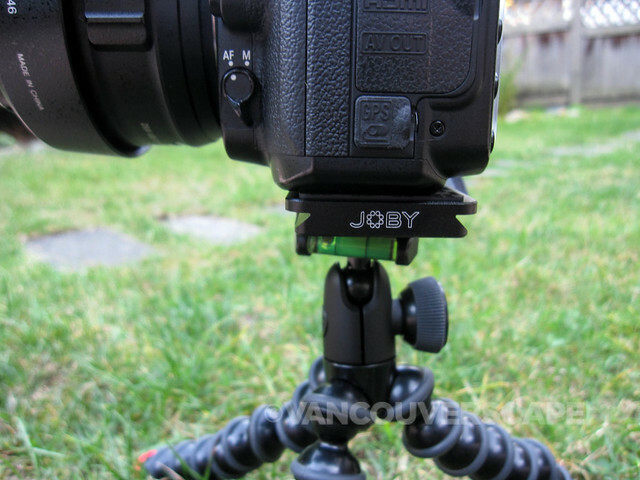 I noticed this when using one of JOBY’s GorillaPods with the UltraFit Strap. 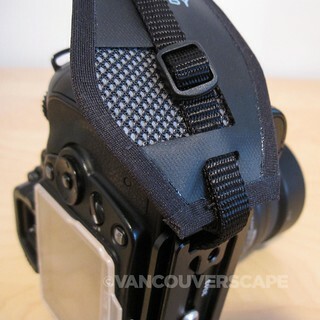 It’s easy to get to all the controls on the camera with the strap attached. I did notice that getting to the flash card door means moving the strap a bit out of the way, whereas the battery door is easily accessible. It feels solid in the hand and seemed to conform to my hand’s shape pretty quickly. I carry it in my Lowepro Passport Sling, ready to grab at and use for handheld shooting. 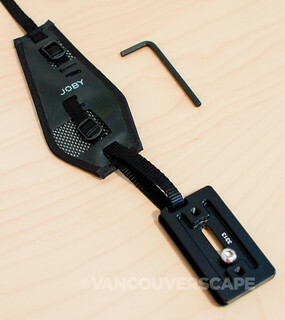 The JOBY UltraFit Hand Strap with UltraPlate retails for CDN $49.99 and can be purchased via Daymen Canada and London Drugs. 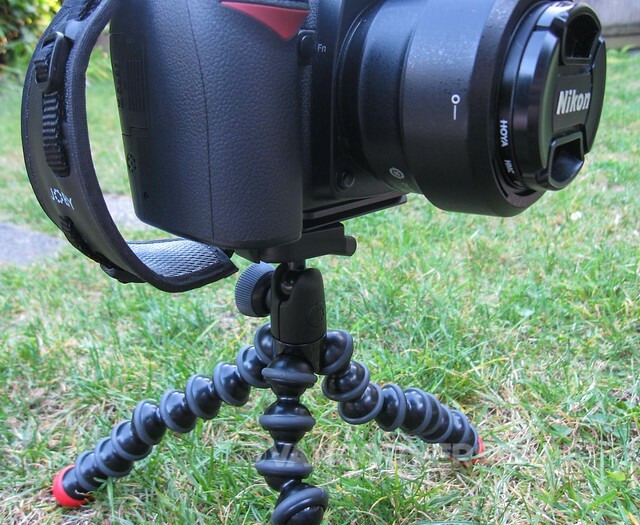 The UltraFit Hand Strap was tested on a Nikon D90 for the purpose of this review. I’ve been thinking about getting a handstrap, among other things … like a new ND filter. Still, something good to consider! It’s a pretty comfortable hand grip. 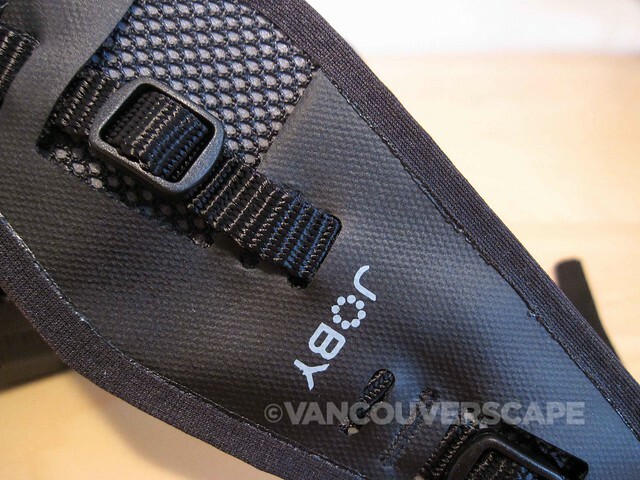 I rotate from cross body straps to using nothing – this is an easy one to take in and out of a camera bag. Let me know if you end up with this one or another design/brand!